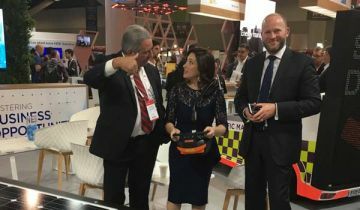 Randi Zuckerberg - former Facebook Director of Market Development and sister to Mark – took time out at CeBIT Australia morning to find out more about South Coast NSW technology company Slasherteck on the NSW Government stand. Ms Zuckerberg joined Hannover Fairs Managing Director Harvey Stockbridge to check out SlasherTeck’s traffic drones and robotic rubbish collection unit technology that could revolutionise maintenance of highways and roads for councils across Australia. 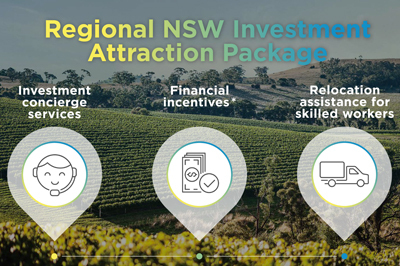 SlasherTeck has been supported by Jobs for NSW with a $98,000 Building Partnerships (BP) Grant to develop a Robocollect unit, which uses two robotic arms, a transfer conveyor belt and a detachable rubbish compactor. Ms Zuckerberg’s visit to the NSW stand followed her plenary presentation this morning to a packed conference hall on technology trends in business. 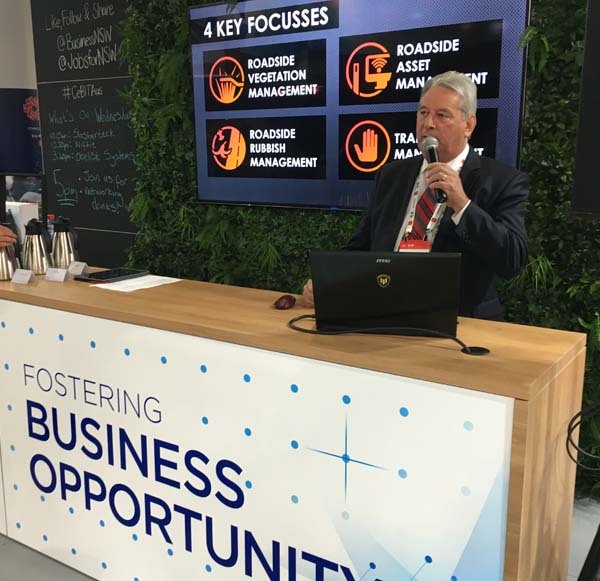 World Economic Forum Head of Society and Innovation Nicholas Davis also spoke on the future of jobs in the ‘fourth industrial revolution’ – Mr Davis said 35% of core skills will change between 2015 and 2020, but also said we have the power to shape the future we want. CeBIT Australia’s Fintech program also attracted local interest this morning with Sydney home to Australia’s largest financial services industry and a leading Asia Pacific fintech hub. Fifty four per cent of the nation’s fintech sector based in NSW - including 8 out of 9 Australian fintech startups on the Fintech 100. The morning conference sessions included a CIO innovation panel featuring representatives from the Commonwealth Bank (Michael Eidel), BOQ (Donna Vinci) and Ubank (Jeremy Hubbard) on thriving in a changing landscape. Stone and Chalk (Andrew Purchas) also spoke about seizing opportunities for Australian fintechs. The conference focus of the second day is split across three streams – fintech and innovating financial services; eGovernment and enhancing digital services and engagement; and enabling organisations through enterprise mobility.